I think we have all been in a situation where a website or web page that you are trying to access does not respond at all to the request, or only slowly so that it almost becomes unbearable to wait. But there are things that you can do that may speed up the loading of the web pages you are interested in, and some may even help you if a website is down or unavailable in your location. Keep in mind though that you can't go faster than the maximum speed of your Internet connection or that of the server the site is hosted on. If that is already maxed out, for instance by a download in the background, you may need to temporarily pause those activities to access the sites you are interested in. Lets take a look at some of the options that you have to speed up access to a website that you want to load in your browser. Sometimes, a website loads slowly because of items that it loads that are not really relevant to the actual content that you want to access. This can be advertisement, widgets that load information from other websites, or a photo gallery that is displayed on every page of the website. The following browser tools can improve the loading time in various ways if that is the case. Adblocking - If advertisements are the culprit, you may want to consider blocking ads on the website to speed it up. Adblock Plus or uBlock Origin are available for Google Chrome and Firefox, and you can use it to block ads automatically or only on select websites. Opera users can try the Opera AdBlock add-on, and Internet Explorer the Simple Adblock plugin. Scripts - Sometimes scripts that are not ads are the culprit. Many ad blockers miss those, and while you may have options to add them manually to the blocker's blacklist, a tool like NoScript may be the better solution since it is automatically blocking all scripts that a website tries to load. Caching - If a website is not available at a specific point in time, you may want to try loading a cached version of it. While you can do that manually as well, you can make use of browser extensions such as Resurrect Pages for the Firefox web browser or Passive Cache for Chrome to improve the process. Proxies - A website may sometimes be available only to users in select countries, for instance if the site operators have configured it to block requests from certain locations in the world. Other reasons may be that a country or ISP is blocking access to a site, or if a regional Internet hub is currently experiencing issues. Proxies may aid in this case to circumvent the issue. You will discover add-ons for individual proxy services, and extensions that let you configure and switch proxy servers more easily in the browser. Among the options are Proxy Switchy for Google Chrome or FoxyProxy for Firefox. Opera Turbo - Opera Turbo combines a proxy server with a server that compresses the Internet traffic to speed things up. It is an excellent option for user on slow Internet connections. Speed Up - Increase the maximum number of connections and various other settings that may improve the time it takes to download all elements of a web page to your local system. 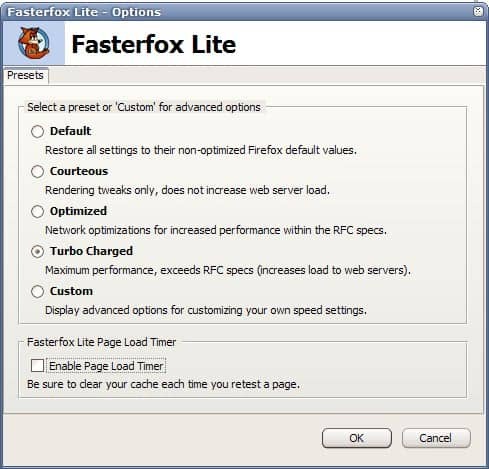 Internet Explorer users can use Tweak IE for that, Firefox users FasterFox and Google Chrome users FastestChrome. Services allow you to make use of some of the options that browser extensions offer without installing anything in the browser first. This can be useful in situations where you simply are not allowed to install add-ons to a browser, or where you prefer not to do so. Web Proxy - A web proxy can be one of the easiest options to access a slow loading or blocked website. You find a large selection of proxy servers over at Proxy.org which you can try out. Keep in mind though that you direct all traffic through that site, at least in the browser tab that you have opened the proxy in. It is therefor usually not recommended to use proxies to enter financial information or log in to web services. Coral CDN - This is a specialized service that you can use to access a cached version of a web page. Just visit the site and enter the web address that you want to load. If the site has been cached, you will see its cached copy on the screen. The Wayback Machine - This service is rather limited, but nevertheless worth a try if other options have failed. It displays a cached static copy of a web page that you try to access, provided that it has been to that page before and saved it. 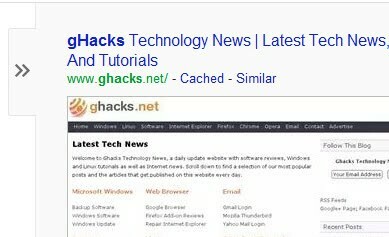 Search Engine Caches - This is probably the most reliable option when it comes to caches. Just search for the web page that you want to visit using Google Search, Startpage, or Bing, and select the "cache" option that is provided. The option is either displayed directly, or after you click on a menu icon that is associated with the result. Virtual Private Networks - VPNs are great, not only because of the security they add to your connection, but also because they act as a proxy of their own. If a particular website or service is not available in your country, or blocked all the time, you can utilize a VPN to access those contents. There are limited free options available, like Hotspot Shield or Tunnelbear, and commercial services that start at a few Dollars a month. LoBand - A free service that strips out everything but the pure HTML page, thus improving your connectivity to a website. Mowser was a comparable service. DNS Server - Sometimes DNS servers can be really slow, or even block access to pages on the Internet. You can use a program like DNS Benchmark to test various public providers to see which one is the fastest, or switch to a service like Google DNS or Open DNS right away. Did I miss a service, feature or tip that you make use of when you are in a situation like this? Lets discuss additional options in the comments. There are things that you can do that may speed up the loading of the web pages you are interested in, and some may even help you if a website is down or unavailable in your location. It’s the main problems of slow internet connections, I do an investigation in this area on my presentation one year ago..
Can someone help me? my internet speed is pretty fast but i have tried to access this one site called zobe to which im a daily user and its taking hours! i tried the methods above but did not work,what do i do? My experience after fixing a few slow connections. If you are using Internet Explorer, to many TOOLBARS. 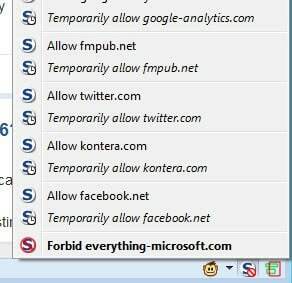 Get rid of them by disabling add-ons or resetting IE altogether. there is also a great Firefox add-on called ‘speed dns’ which I think does the job v.well. Wow, the ad blocker in 1. Browser Tools fixed the problem with my Win 7 IE9 local computer. I thought the problem was just more MS junk or cheap Wal-Mart computers. Thanks it’s been forever since I saw a fast page load. The Summit eCommerce Performance Checker helps you understand how much money your site is losing every day. By running a variety of tests across your site we’re able to identify what is impacting the speed and therefore the performance of your website and provide a detailed report on why this is occurring. Which tools do you guys use to test your page speed with? So far I’ve found http://www.webpagetest.org and http://www.giftofspeed.com but I’m looking for more options. Anyone knows of another good test tool? Thanks! This works great on the Daily Mail website, which became unusable for me. Now that I installed this extension, the pages load instantly! Thanks for the tip! wow, amazing, I was having hard time reading Daily Mail, the page took ages to load. I did the Adblock download and is amazingly quick now. Thank you!! I tried everything for a month and a half to load websites quickly, and then two days ago I tried this: Go to Menu, Preferences, Tabs. Check “When I open a new link, check it immediately.” It worked! It was THAT simple!